Wow, that is one awesome tummy, Mudpie! Anyone who tries to touch Binga's gets the the 18-claw salute. She gives great belly rubs too. Do you like belly rubs? Some kitties do. The mom would rather snorgle it, Mudpie. If only I could rub that tummy! Samantha likes to eat until she bulges like that. Heather would eat until you could see a bit of bulge, but not like that. Can I snorgle that tummy? Does tickling that tummy count as worshiping it, Mudpie? Because we really want to tickle that fluffy cuteness. Now, you are just teasing us, Mudpie! Not fair! Worship the tummy please!!! Happy Respect Your Cat Day. Now its time for a little tummy loving. We all wish we could get that comfortable. Thanks for the share. What a cute tummy it is! 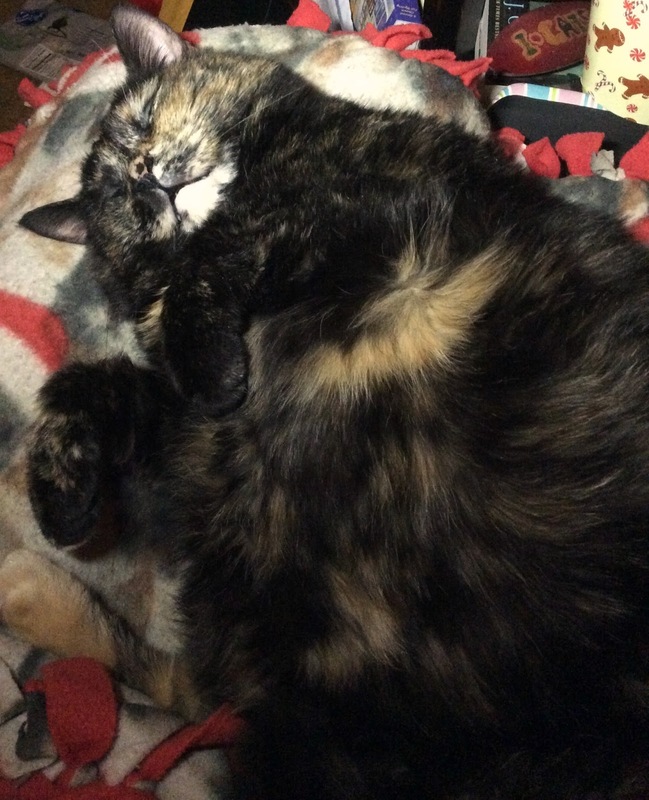 i can never resist a tortie tummy!! Oh, we do, Mudpie! We do!